Indiana State Senate President David C. Long has the weight of the free world on his shoulders and most of our friends are not aware of it. Perhaps you have heard about Mark Levin’s mega-best seller The Liberty Amendments. Levin is a famed lawyer who has written the best selling book on the Supreme Court of all time, he has argued cases in front of the Supreme Court, runs one of the top legal foundations in the country, he was a ranking official in the Reagan Administration and is also the number one rated syndicated radio host in his time slot in the United States. The Liberty Amendments outlines in complete footnoted detail how the states can form a convention under Article V of the Constitution for the purpose of of proposing amendments to the Constitution. This can be done by the states alone, completely bypassing Washington. Mark Levin has outlined 11 proposed amendments which many believe would solve most of the nations governing ills. 1 – An amendment to establish term limits for Members of Congress. 2 – An amendment to restore the Senate. 3 – An amendment to establish term limits for Supreme Court Justices and super-majority legislative override. 4 – Two amendments to limit federal spending and taxing. 5 – An amendment to limit the federal bureaucracy. 6 – An amendment to promote economic liberty. 7 – An Amendment to protect your private property. 8 – An amendment to adjust Article V to make the state amendment process less arduous. 9 – An amendment to grant the states the authority to check congress. 10 – An amendment to protect the vote. To most Red, White and Lori readers the reasons for such changes are obvious, but even so, Congress was never intended to be a life long career or an entitlement of political dynasties such as Bushes, Clinton’s or Kennedy’s. Today the vast majority of laws are not written by Congress or people you elect, but are literally “stroke of the pen – law of the land” regulations passed by various alphabet soup agencies and nameless bureaucrats with no accountability. They write thousands of laws each year with no recourse. A super-majority of states need the power to overturn certain court decisions. Most often judicial appointments are political donors and henchmen, not great legal minds. As Justice Antonin Scalia has said many times, most law schools teach the Constitution as something to be subverted. The FISA Court has turned the 4th Amendment against the people by authoring search warrants on the phones of millions of Americans at a time and done so in secret. If not for Ed Snowden most Members of Congress would not know how much illegal spying has been going on. The federal government was always intended to be the agent of the states, not the other way around. This relationship has been completely turned on its head; therefore a super-majority of states should be allowed to overturn any Act of Congress. K-Street lobbyists and big money interests have much more influence over most any Member of Congress than the people of any state. A reasonable balanced budget amendment is also in order. Congress gets power from its ability to go into debt and spend your money, institutionally there is no incentive for Congress to control spending. Every Member of Congress and President says that they want to get spending and deficits under control, but no serious attempt has been made at doing so since Newt was Speaker of the House. Most states have such amendments already. What they didn’t tell you is that the way the political parties have structured themselves in the Congress, the direct election of Senators made political party leadership virtually all powerful. In the Senate today the Majority Leader, Harry Reid holds that position, is near all powerful. He can hold up any and all legislation, he can stop the approval of any executive appointees, he can make rules to allow or restrict any amendments to bills, he can have debate ruled out of order by controlling the rules committee, and by using the power of the Majority Leader position he can change the Senate Rules to almost anything he wants. In the case of Harry Reid, he has shirked his constitutional duty by not allowing a federal budget to be passed for years. Since the passage of the 17th Amendment there is virtually no recourse. If the Speaker of the House is in the same political party, party leadership (all of two people) will have total control over Conference Committees which shape how legislation in its final form is voted on; such power is near impossible to check. Does this sound democratic to you? Is this what you have in mind when you think of a congress? The Majority Leader uses his power to modify legislation to aid party supporters, to steer appropriations and favorable legislation to Senators who will obey, and punish Senators who do not. As a result Senators are much more responsive to big money interests and K Street lobbyists than their own constituents. Senators get millions of dollars from out of state to run ads which are often used to trick voters with dishonest messaging. This goes quintuple for the Majority Leader. With his power to craft, steer, and modify legislation and the appropriations process he becomes a fund raising behemoth. The Majority Leader will control a “Leadership PAC” to dump campaign money into the coffers of Senators who obey his will. Many have come to accept that Washington cannot, and simply lacks the political will, to fix itself no matter who is elected. The recent budget deal that raises spending, cuts pensions for disabled veterans, gives billions to illegals in child tax credit refunds and guts sequestration safeguards is a typical example. The GOP House Leadership co-wrote this budget. Illegal aliens have Tides Foundation and George Soros backed pressure groups lobbying Congress and spreading around the cash, disabled vets have no such wealthy backers. When Senator Jeff Sessions indicated that he would offer an Amendment to fix some of these issues Senator Reid blocked it, but even if he didn’t, the House GOP Leadership sent everyone home so even if the fix did pass there would be no one in the House to vote on it. Conservative, Libertarian and Liberal law professors testified to Congress just weeks ago that President Obama is violating the Constitution, not faithfully executing the laws and even went so far to say that the Constitution was written specifically to thwart leaders like him. People of good faith can clearly disagree on where the line is drawn over the failure to fully enforce federal laws. There is ample room given to a president in setting priorities in the enforcement of laws. A president is not required to enforce all laws equally or dedicate the same resources to every federal program. Even with this ample allowance, however, I believe that President Barack Obama has crossed the constitutional line between discretionary enforcement and defiance of federal law. The President has a personal obligation to “take Care that the Laws be faithfully executed.” The word “faithfully” is, perhaps, a broad grant of discretion, but it is also a real and important constraint. The President cannot suspend laws altogether. He cannot favor unenacted bills over duly enacted laws. And he cannot discriminate on the basis of politics in his execution of the laws. The President has crossed all three of these lines. 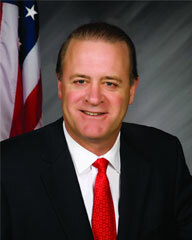 Enter Indiana State Senate President David Long from Fort Wayne, Indiana. Senator Long set up a meeting at George Washington’s scenic home at Mount Vernon and invited every state legislature to send representatives. On December 7th, 97 representatives from 32 states met and were credentialed. In June the states will meet again in Indianapolis to finalize the rules for the convention. Senator Long is chairing the convention process which will likely be known as the Mount Vernon Assembly. This is not a constitutional convention or “con con”. This is a convention for the purpose of proposing amendments. There is no chance of a “runaway convention’ as all delegates will be subject to instant recall if anyone tries pulling a fast one. The proposed amendment subjects will be agreed to well in advance to prevent any “last minute” gamery. Quietly, the DC establishment is working to sabotage this process. The DNC has ordered all Democrats not to cooperate. Interesting how Democrats you elect locally are taking orders from the DNC in Washington isn’t it? Fortunately, at least some Democrats are likely to buck the establishment. The Founders gave us the Article V process as a last ditch tool to get control over a central government they knew eventually would have its limits subverted by statists and collectivists. “We may safely rely on the disposition of the State legislatures to erect barriers against the encroachments of the national authority” – Alexander Hamilton in Federalist 85. Senator Long is the right man to chair this process. He is a thoughtful man of even temperament who is willing to follow a process that is fair. He is determined to see this through. This entry was posted in Uncategorized and tagged Amendments, Constitution, David Long, Levin, States Rights, Term Limits by Lori Hendry. Bookmark the permalink.